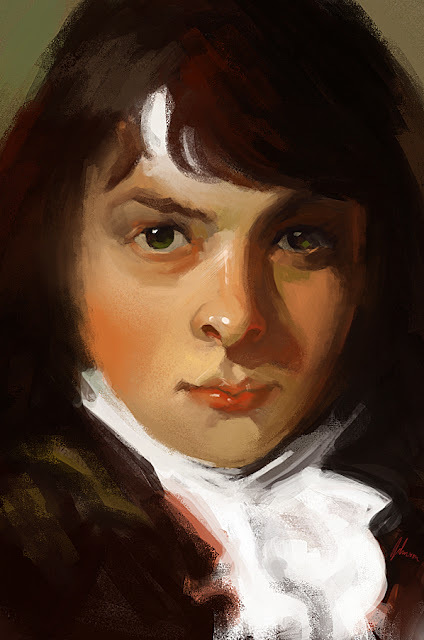 A study of a painting by Thomas Lawrence I've done a while ago. The reason why I painted this was mainly because I wanted to try out some of Photoshop's brushes and because I liked the color palette of the original painting. Nice one, the skin tones came out great. Master studies are always good to tackle, there's so much to learn from them so I'm glad to see you doing them.